Today we had the most fun half-day meeting at our department. 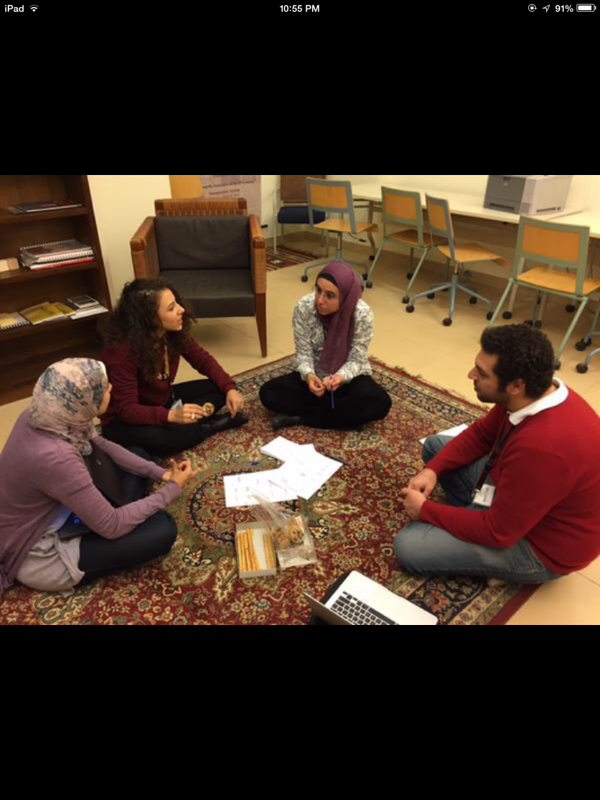 We were sitting to design a faculty development game (Nadine and Sherif’s idea, inspired by Ana Salter’s workshop) to use while consulting with faculty to understand their needs and tech readiness – it is a scaffold instead of a survey, kind of. This is so cool and I wanted to share. I say a lot that i like edu games but not gamification. The main idea we are building the game on is already a flowchart I co-developed w my colleagues Gihan & Nadine. We kept coming across stumbling blocks of what value added is the game, where is the fun in doing it? Aside from the team spirit, what I loved was that it made us really all THINK about why we were doing this, what we wanted faculty to get out of it, how we wanted them to FEEL. And also how our questions might put them down or make them feel bad, etc. We had to ask what we really needed to know, and how much we wanted faculty to realize it. We decided against using points because they might make faculty feel judged. We shifted among many different options but i think we are close to something workable. An unexpected outcome of this game is that we all reflected collaboratively on what we do and we also now all understand it better – and it is now a shared understanding (any of us can now give this consultation on their own) that we socially constructed… Oh, this is beyond social constructivism, it’s constructionism. Oh my God, Papert is right – we learn so much from MAKING and oh my God, this is connected learning. Offline. Well, we did tweet a bit in between. Maha- can you share the game? I’m working on faculty development in bleended learning right now and am even c0-planning a workshop. Would love to hear what you’ve come up with!